Meet seven very different East Villagers, plus one very cool cat checking things out from the top of an air conditioner. They’re on a tenement wall at East Ninth Street. 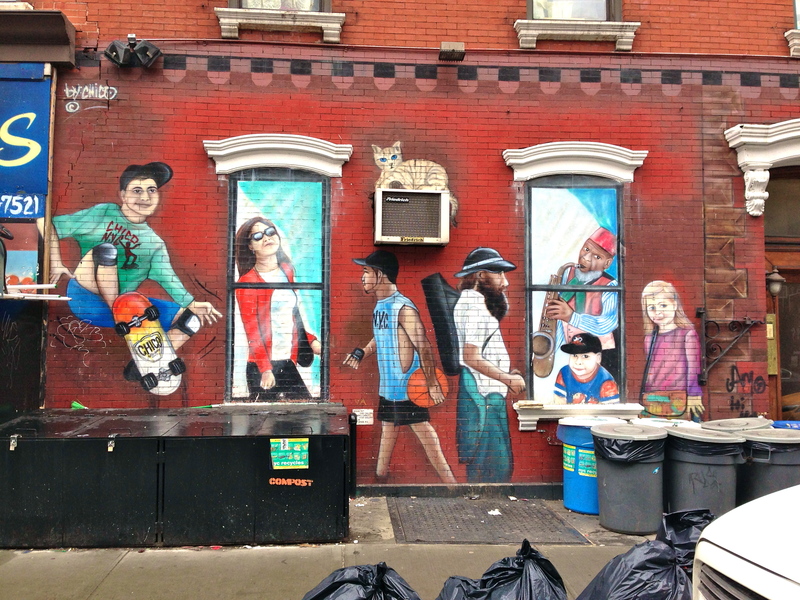 This scene comes from the imagination of street muralist Chico, whose work brightens up many facades in the neighborhood. See more of it here.